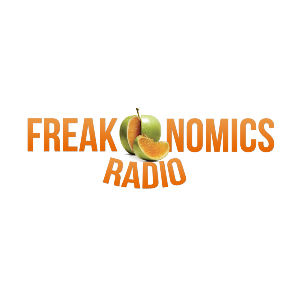 Over the past year or two, Freakonomics Radio has produced a pair of special series on seemingly unrelated topics: “How to Be Creative” and “The Secret Life of a CEO.” This week, those two themes intersected in a conversation with Daniel Ek, the CEO and co-founder of Swedish music streaming service Spotify. Spotify is — depending on your personal perspective — either an idealized digital jukebox or, as Radiohead’s Thom Yorke once put it, “the last desperate fart of a dying corpse.” Yorke wasn’t the only musician to hate on Spotify, especially in its earlier years. The Beatles, Pink Floyd, and Taylor Swift famously kept their music off Spotify. Today, Spotify has roughly 100 million paid subscribers, with another 100 million-plus listening free on an ad-supported model. (But it’s the subscribers that drive 90% of the company’s revenue.) The company went public in 2018; its market cap is now around $25 billion. And the Beatles, Pink Floyd, and Taylor Swift can all be heard on Spotify. Daniel Ek co-founded Spotify in 2006, at age 23, with Swedish entrepreneur Martin Lorentzon. Ek grew up in Stockholm in a family that prized music. His grandfather was an opera singer; his grandmother was an actress and jazz pianist. Ek himself learned to play guitar around the age of 5; for a time, he thought he might become a full-time musician. But when Ek was a teenager, broadband internet came to Sweden. (It was part of a national initiative that gave nearly everyone access to fast internet and subsidized computers.) Before long, Ek was spending much of his time on the internet. Then came the launch of Napster, the peer-to-peer file-sharing service that let users download music files directly from the hard drives of other Napster users all over the world. Yes, pirating music was illegal, but it was also very common, especially in Sweden. Napster opened up a new world for Ek: He credits it with providing him access to countless artists and albums he likely wouldn’t have heard otherwise. Napster illustrated something important to Ek: The music industry was ignoring a huge revenue opportunity. Ek found it ludicrous that the only choice the music industry gave consumers was to pay $15 for one CD versus paying zero dollars for all the (illegally downloaded) music in the world. The music industry was in steep decline at the time, thanks to changes in technology, economics, and consumer preferences. The industry also blamed digital piracy for its struggles. (That, according to economists, is a difficult claim to uphold.) As the major labels fought to get services like Napster shut down, the teenage Ek was busy becoming a serial tech entrepreneur. He started his first company at age 14 and ultimately started and sold several tech companies over the years. By 23, Ek was a millionaire. He was also burned out. Ek moved into a cabin in the woods near his family; he played guitar and meditated. Over time, he thought up the idea for Spotify. The idea was very simple, really: an essentially infinite library of all the music in the world, available instantaneously to anyone with an internet connection. To make Spotify a reality, Ek and Lorentzon had two fundamental problems to solve: building the technology to allow for the instantaneous streaming of music and persuading the rights holders of all the music in the world to go into business with a brand-new company from Sweden headed by a man who’d grown up on pirated music. Fortunately for Ek and Lorentzon, the music industry was in desperate need of a new revenue model. And as Ek has pointed out, the industry’s model had always been inefficient: charging relatively high prices to capture only the top layer of the listening market. Most people got the majority of their music on the radio, which was free. Spotify was offering a lifeboat — and a fairly luxurious one: 70% of streaming revenues plus an equity stake in the company. The big record labels — Sony, Universal, and Warner — were reportedly each given between 4 and 6% of Spotify’s shares, with a consortium of independent labels getting another 1%. When Spotify went public, in 2018, these stakes would be worth billions. The labels also got to keep drawing down 70% of Spotify’s revenues and distributing it to their artists according to their own royalty formulas. Spotify’s involvement, or lack thereof, in how artists are compensated, however, has rankled some. The platform plays no role in determining how royalties are distributed to artists. And while the top artists have earned lots of money on the platform, critics argue that Spotify allows record labels to continue exploiting artists and creators. Ek, for his part, argues that Spotify is “in the process of creating a more fair and equal music industry than it’s ever been in the past.” At the peak of the industry, more than 15 years ago, Ek estimates that only 20,000 to 30,000 artists could make a living through recorded music. Record labels, facing high distribution and marketing costs, only signed small numbers of artists. And listeners were often reluctant to take a financial chance on unknown artists. Spotify, he says, changed all that, increasing the number of artists who can make a living. The argument Ek is making — that digital distribution should make it easier for lesser-known artists to find listeners and get paid — sounds good in theory. In 2006, the journalist Chris Anderson published an influential book called The Long Tail: Why the Future of Business Is Selling Less of More. Ek, in a 2010 interview, called The Long Tail his favorite book. But the evidence suggests the long tail concept works better in theory than in practice. Princeton economist Alan Krueger, who worked in both the Clinton and Obama White Houses, was fascinated by the economics of the music industry. He once gave a speech at the Rock and Roll Hall of Fame comparing the music industry to the modern economy at large. In both cases, he argued, most of the earnings were going to a lucky few at the top of the pyramid. It’s what some people call a tournament model, where the winners get most, if not all, of the profits. Krueger died recently, at age 58, by suicide. He left behind a book, to be published soon, called Rockonomics. Krueger writes that there are roughly 200,000 professional musicians in the U.S. today, accounting for 0.13% of all U.S. workers. That percent has stayed about the same since 1970. The median annual income for these musicians is $20,000. Krueger’s findings don’t support the long tail promise. Social media and algorithm-driven recommendations, including Spotify’s own playlists, seem to magnify the bandwagon effect, whereby popular songs become even more popular by virtue of their popularity. In 2018, Spotify’s most-streamed artist was Drake, with 8.2 billion streams. Assuming a typical streaming royalty rate of 0.4 cents per play, that’s nearly $33 million going to Drake’s camp. But the pyramid is sharp — and things fall off really fast. Krueger cites an industry survey which found that just 28% of artists earned money from streaming in 2018, with the median amount just $100. If the streaming music revolution is a sort of tournament, let’s think about how the various constituencies are making out. Spotify and Ek are doing very well; so are the company’s original funders, who got a huge return on their investment. The record labels have also been big winners — not only did Spotify reinvigorate their industry but it seems to have substantially improved their overall valuations. The Universal Music Group, for instance, which is currently for sale, has recently been valued at more than $30 billion; in 2013, its valuation was just $8.4 billion. Other winners in the Spotify tournament are customers, who get much more music than they used to, for much less money. The most popular musicians are also winning big. One constituency that’s not obviously sharing in the winnings: the long tail artists, of whom there are many. There’s another big challenge Ek wants to solve. A few years ago, Ek asked himself whether his role at Spotify would be interesting enough to make him want to stick around. The answer was yes, in large part because one of his core assumptions at Spotify’s inception didn’t work out. He had assumed that if Spotify solved the user problem and got people to listen to new artists and music, the music industry would take care of getting artists signed and heard. But as he sees it, the industry is still doing business the same way it did 10 years ago. Ek wants to change that. And Spotify, he realizes, has become part of the problem. 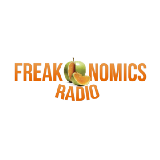 You can find the full Freakonomics Radio episode “How Spotify Saved the Music Industry (But not Necessarily Musicians),” which includes an extensive interview with Daniel Ek, at Freakonomics.com. You can also listen on Stitcher, Apple Podcasts, or any other podcast platform.